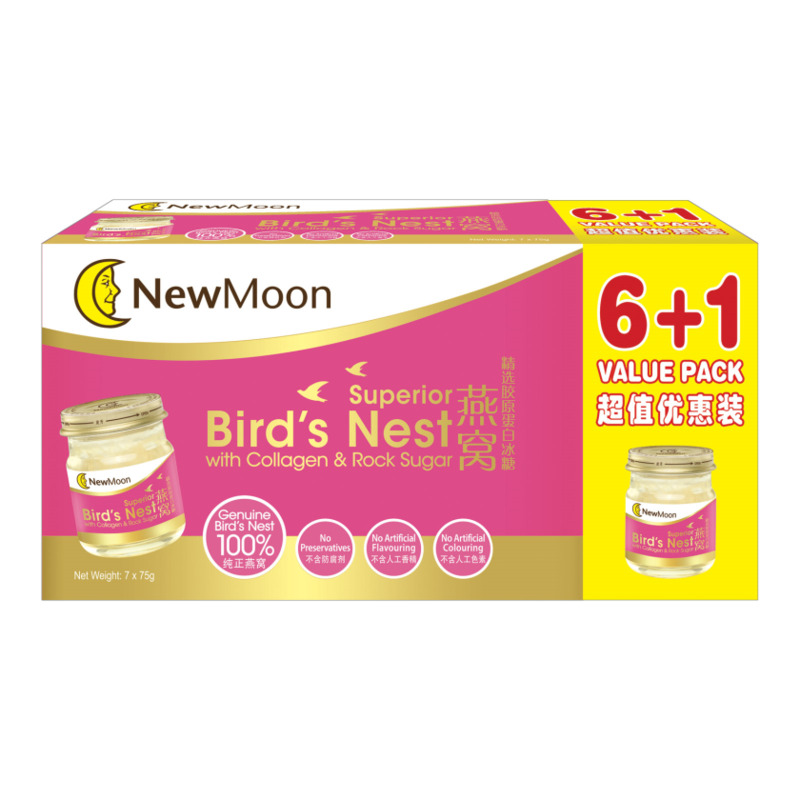 New Moon Superior Bird’s Nest with Collagen & Rock Sugar is made from superior grade 100% genuine bird’s nest. 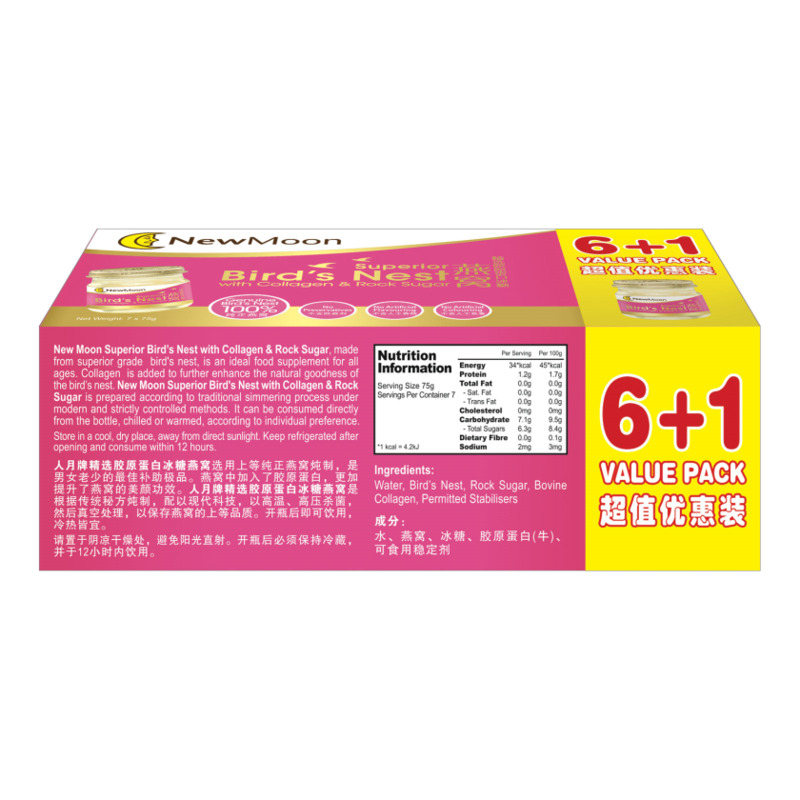 It is an ideal food supplement for all ages. 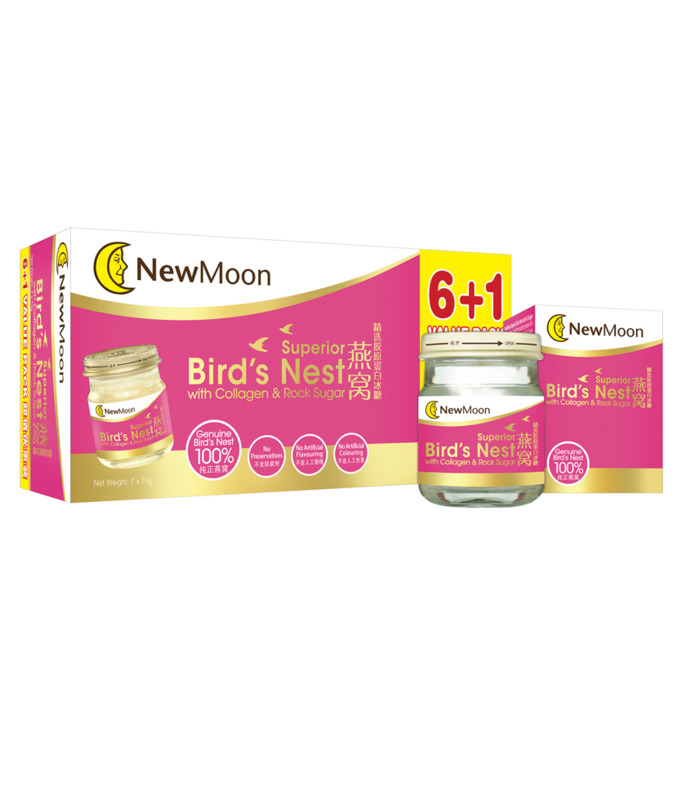 Collagen is added to boost regeneration of healthy skin cells, improves elasticity and promotes healthier radiant skin.